All of these supplies can be found at your local Dollar Store or Wal- Mart. 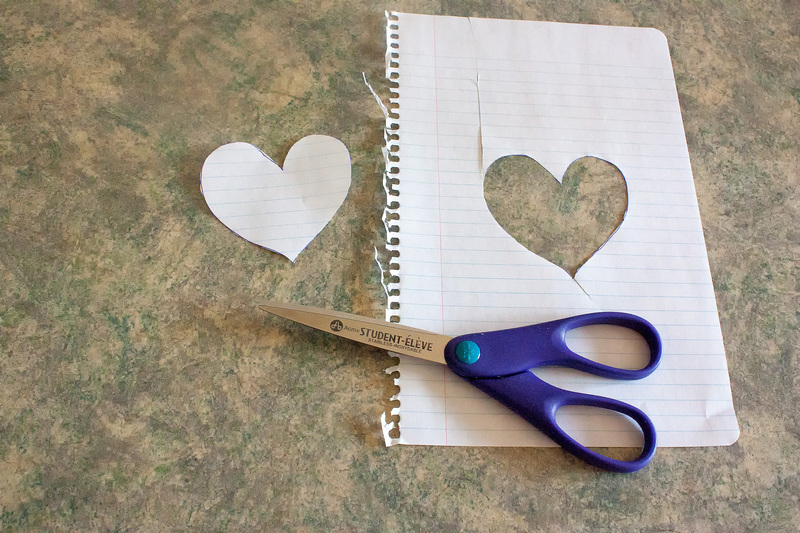 Step 1: Draw a shape of your choice on your paper. 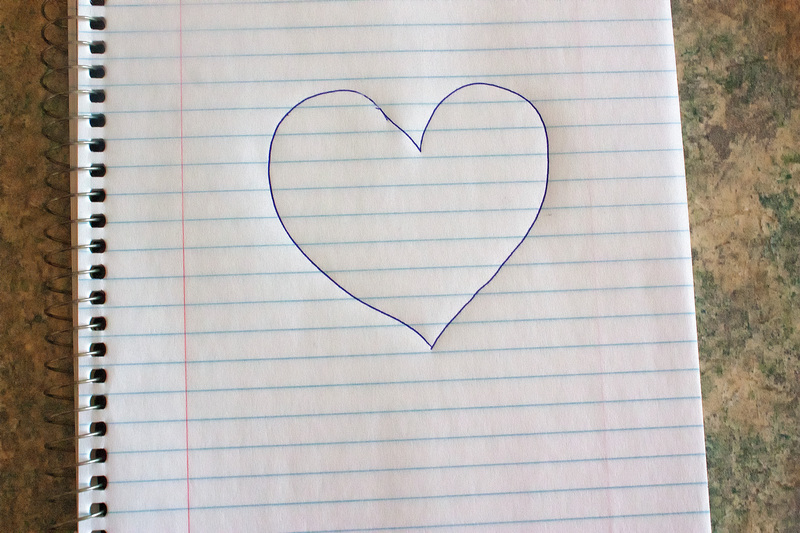 I chose something simple – a heart. 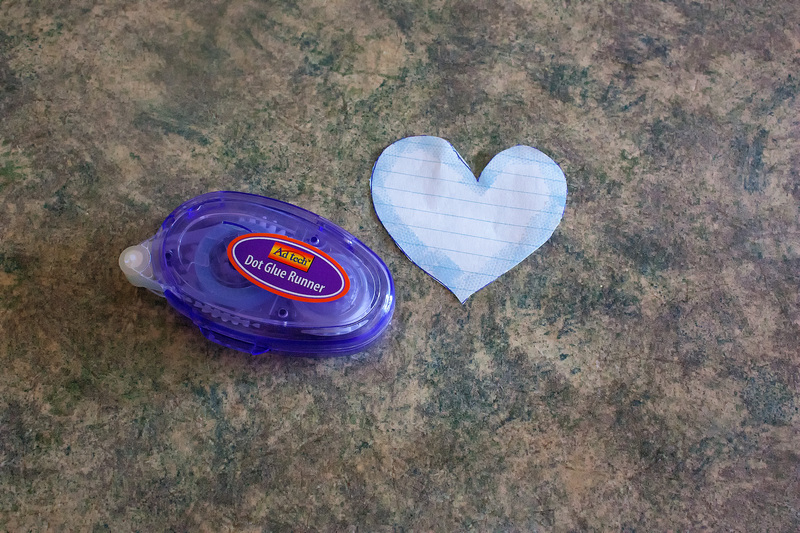 Step 3: Use your Glue Dot Runner to outline your shape. Make sure that all of the edges are covered well! 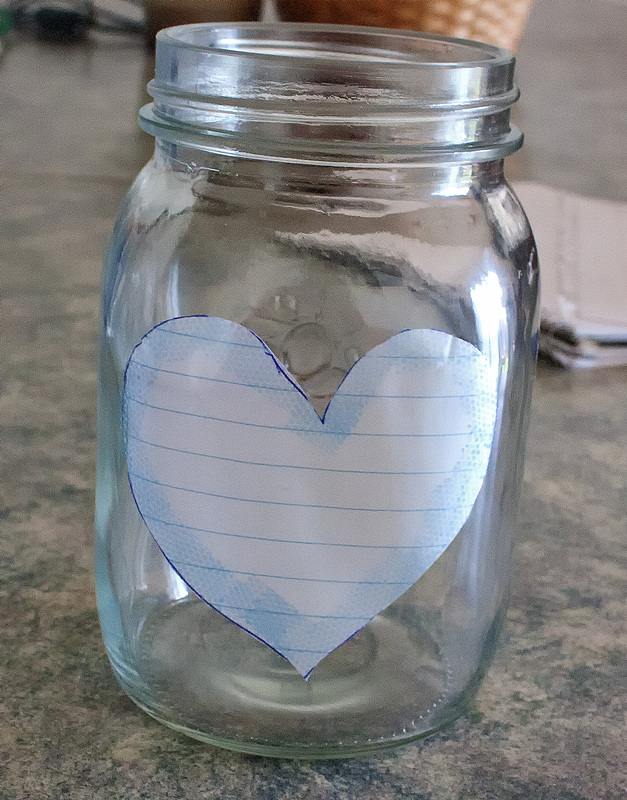 Step 4: Stick your shape against one of the sides of your mason jar. Make sure that there are no gaps or lumps around the edges of your shape when you stick it down. This will help your shape to look more distinct in the end. 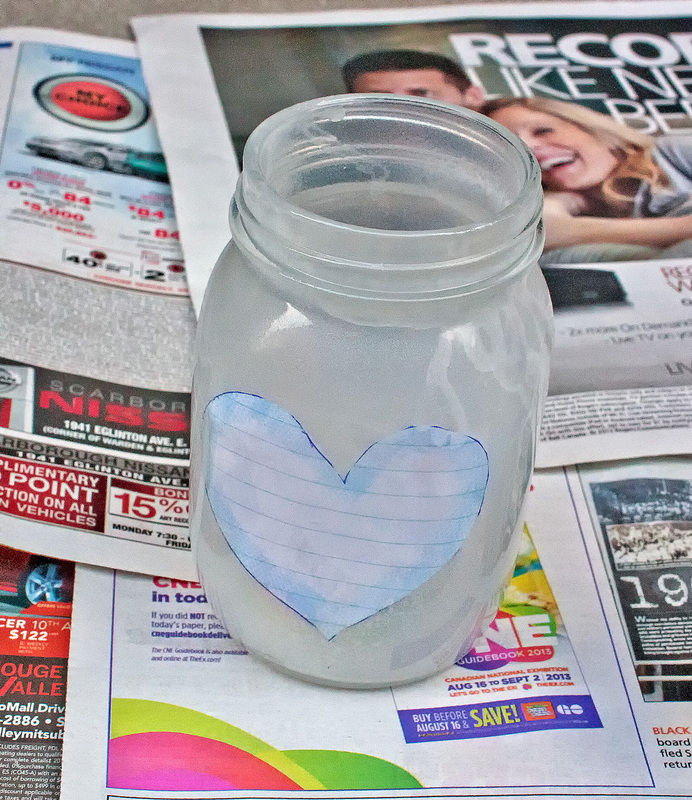 Step 5: Use your Elmers Spray Glue and spray a thin coat of glue around the inside of the mason jar. 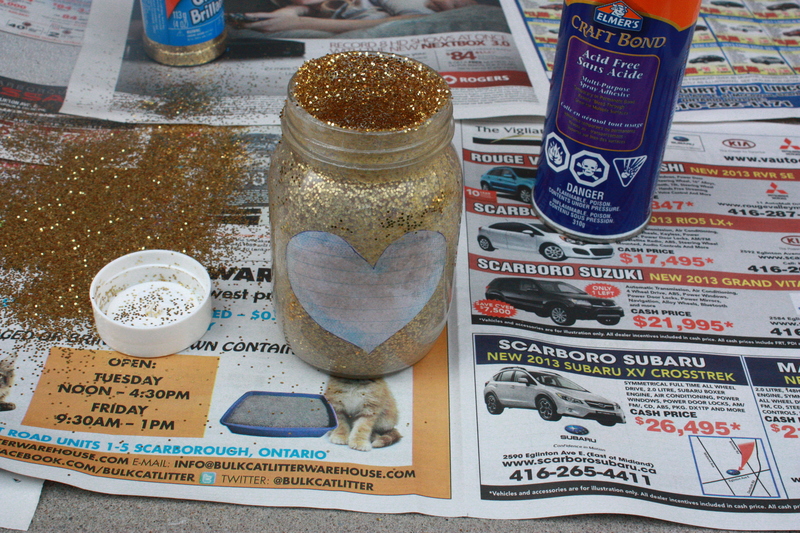 Step 6: Pour glitter into your mason jar while the glue is still wet. 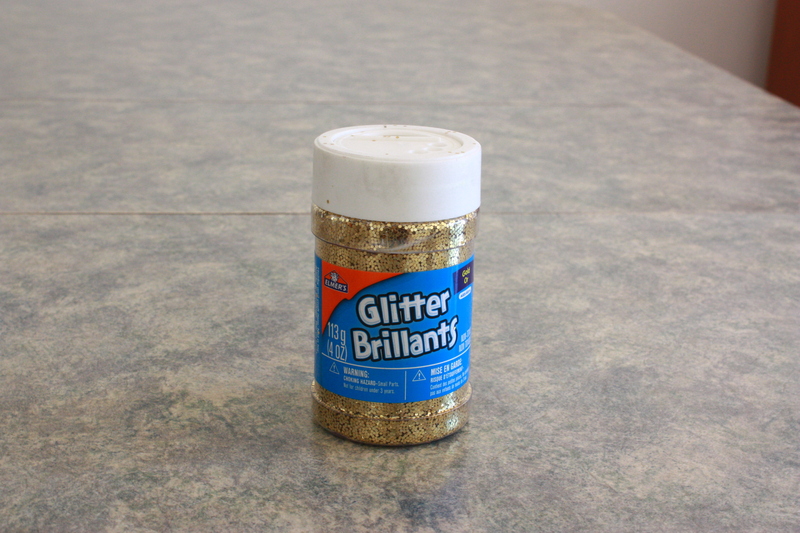 Put the lid on and shake the glitter around making sure that it sticks to all sides properly. 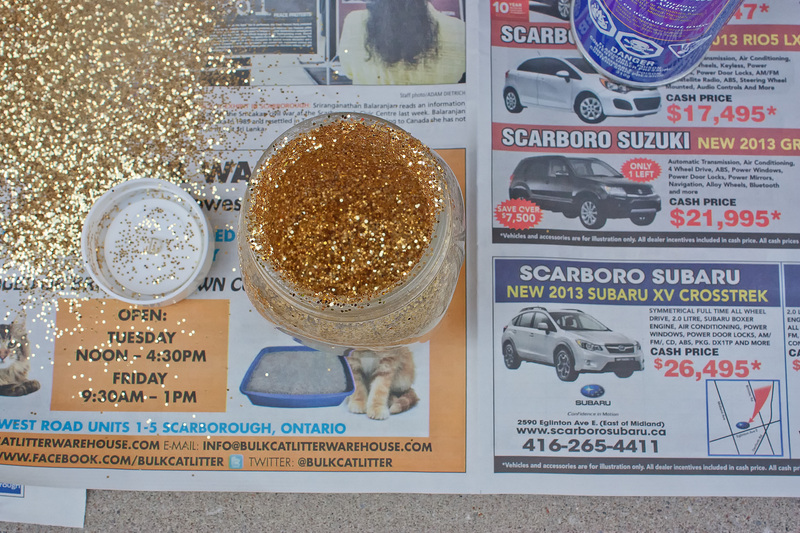 Step 7: Let you glitter dry for 20-30 minutes. 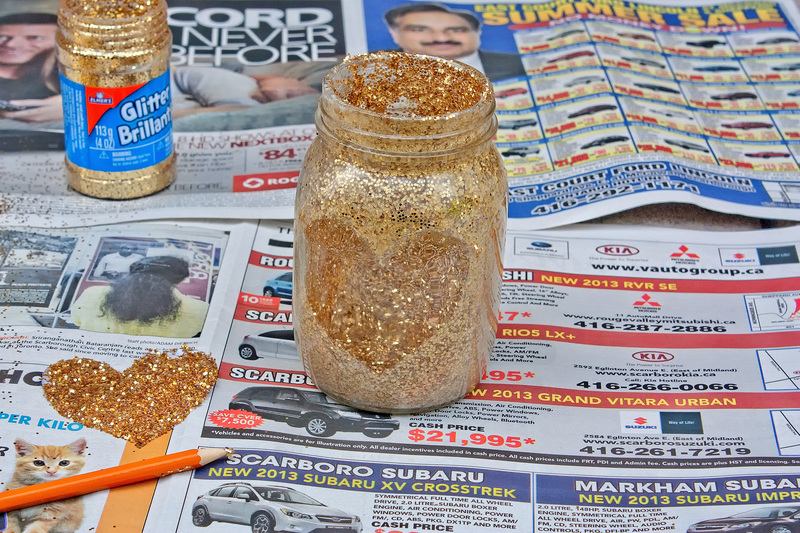 After it dry, add a second thin coat of glue to hold the glitter in place. Step 8: Using a toothpick or pencil, peel your shape off of the mason jar. 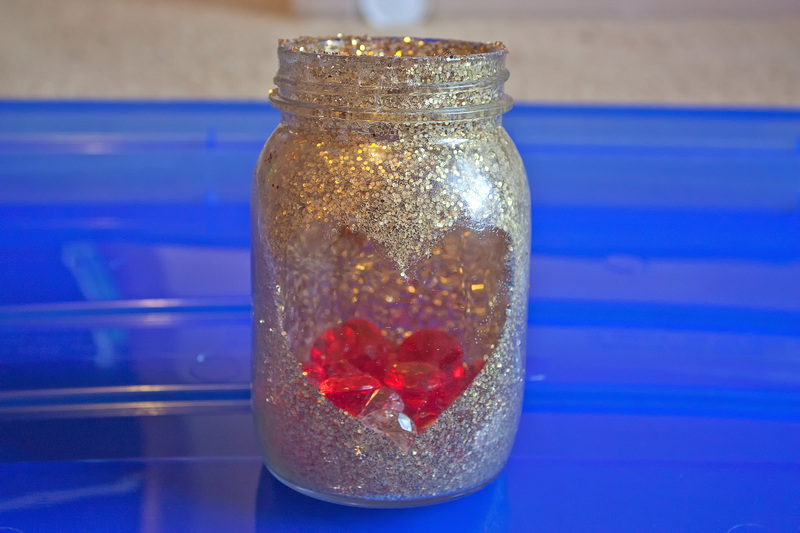 Step 9: Place your stones or jewels into the mason jar. I chose red and clear ones because they go well with my rooms colour but you can choose any colour you want! 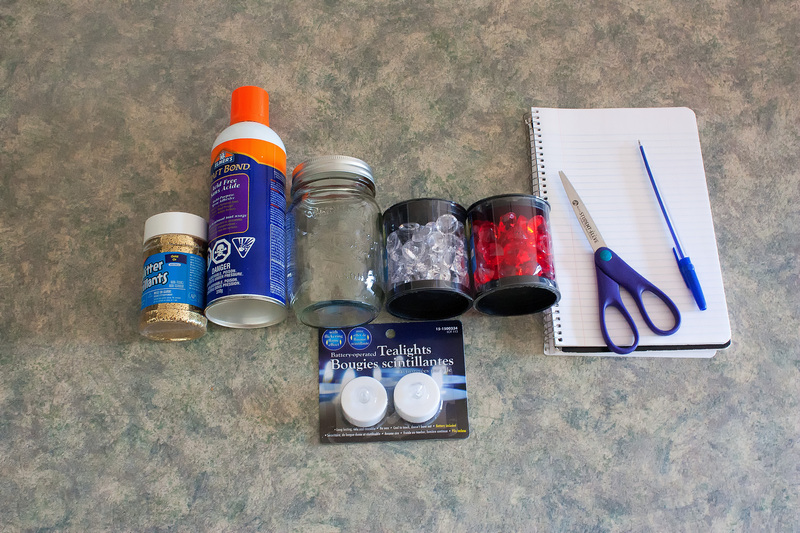 Step 10: Put one of your tea lights into the jar and light it up! These lights are great especially for anyone who like candles but doesn’t want to risk burning down the house. They create such peaceful ambiance in a room and make you feel all warm and cozy! 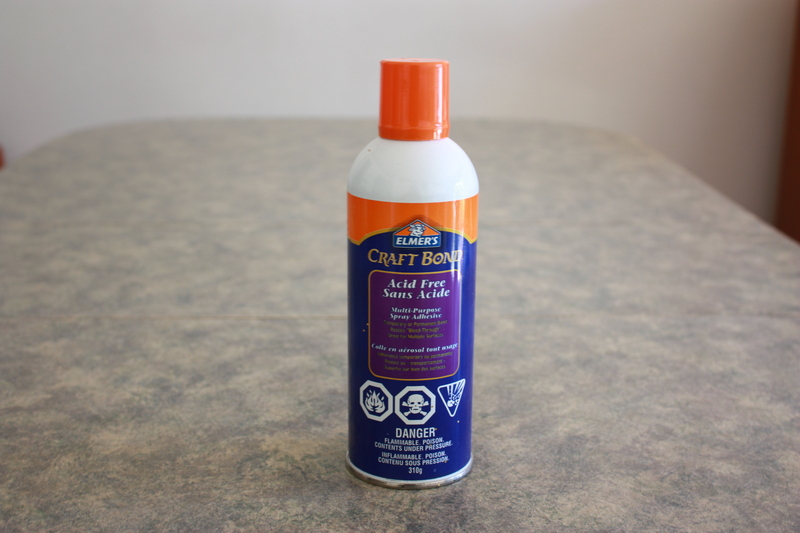 Let us know if you enjoyed this diy or if you have any ideas for other diy projects leave us a comment. 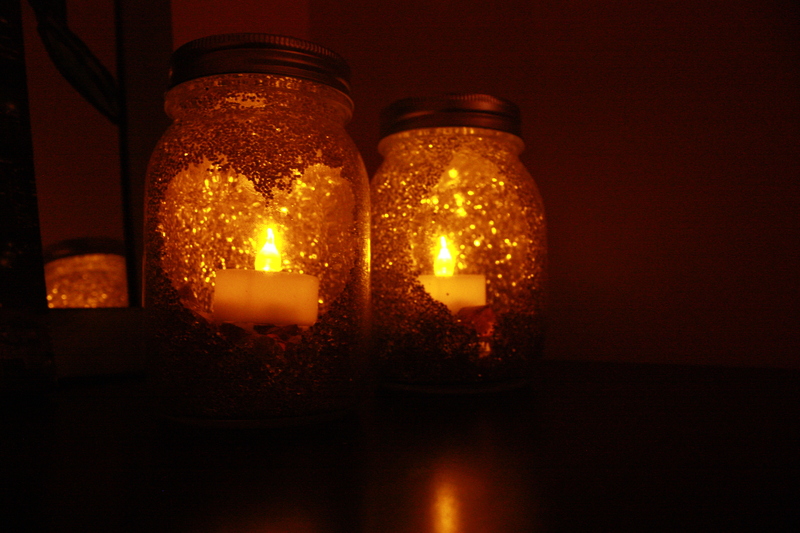 Tags: Ambiance, DIY, Elmers, Glitter, Jewels, Lanterns, Mason jars, Sparkle, Tea Lights. Bookmark the permalink. Great idea. The creative possibilities here are endless with different use of colors, shapes and letters. Love it!